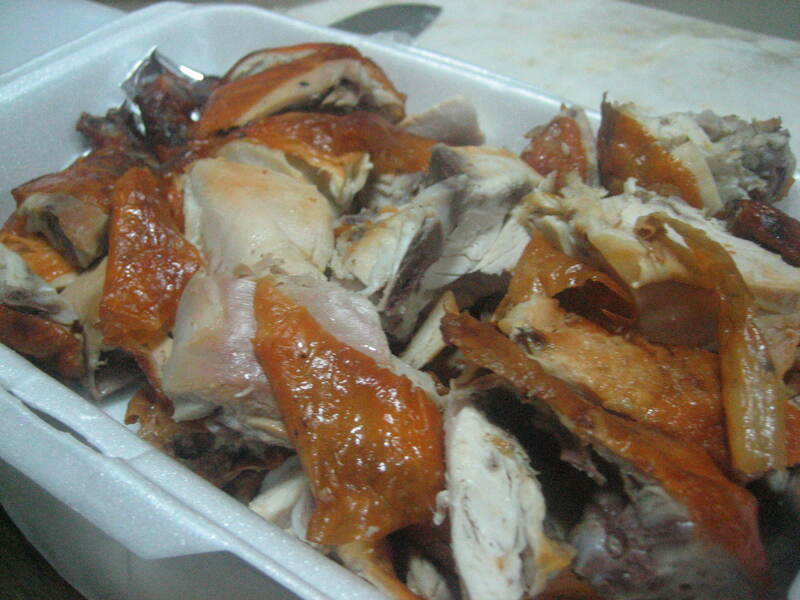 We had one whole roasted chicken that we weren’t feeling so fancy about and after having eaten at Milky Way and trying the lechon paksiw, I decided I can do the same with the chicken! Ta-dah! Lechon Manok Paksiw is born! I am not sure how I know how to do it, but I more or less remember how to make liver sauce, from scratch. So I guess from there. 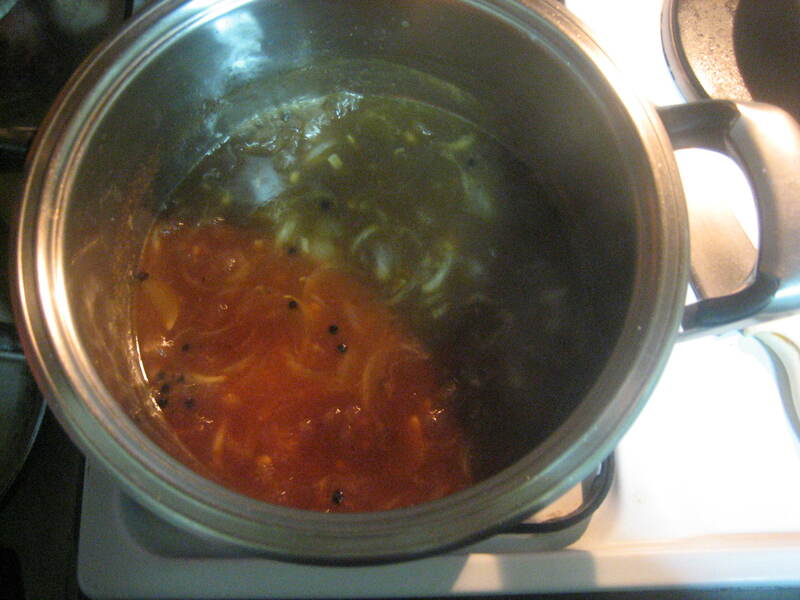 A little bit of vinegar, sugar, black pepper, and onion, boiled and thickened with bread, which is added to some liver sauce and we have the base already! 🙂 Super easy! After the sauce has been perfected, we dumped in the chicken and allowed everything to come together for a good 20 minutes. Served over rice, and everyone’s a happy camper! 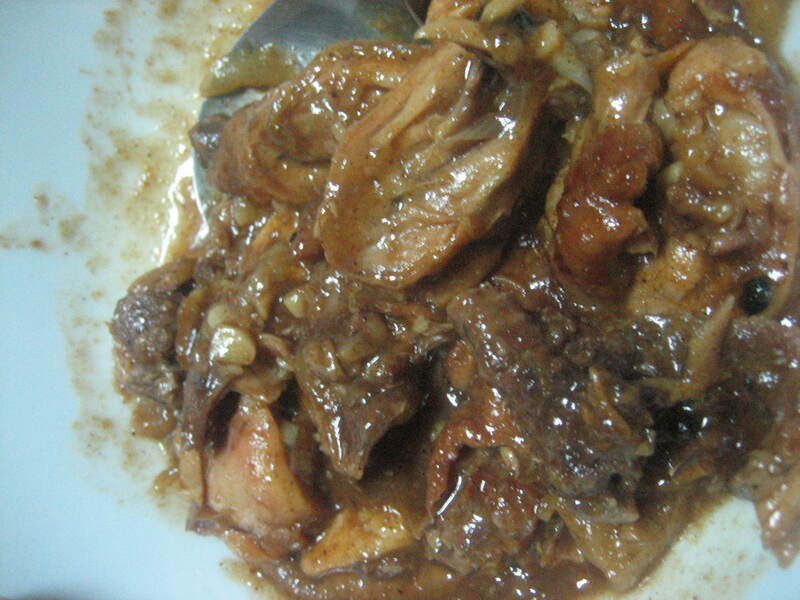 I liked the paksiw that we ate in Lucban in your cousin’s house during Pahiyas! Aunt’s house 🙂 That was almost a year ago, you know! Ang tagal na!